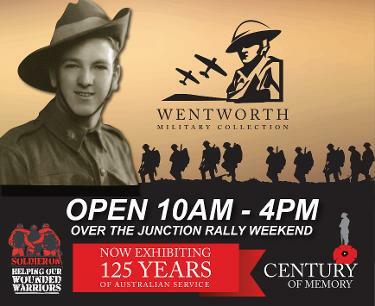 The Wentworth Military Museum will be open 10am - 4pm over the weekend event of the Wentworth Junction Rally. 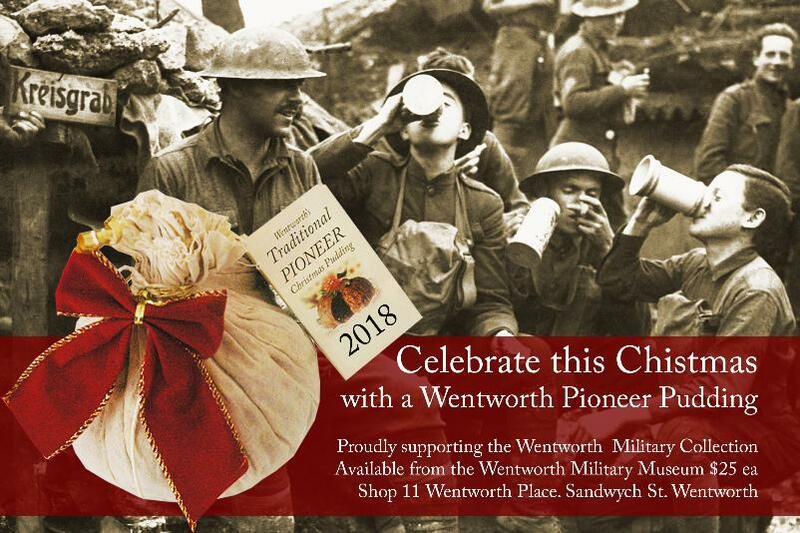 Although the Museum will not have a mobile stand at the Junction Site, the Museum and the Museum's Bunker Giftshop located at Shop 11, Wentworth Place, Sandwych Street, will be open to the public over this time. Hope to see you for what will be a great event in our region. 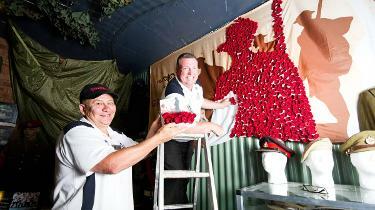 With the support oh the Rotary Club of Wentworth, the Wentworth Military Collection now has home. After hours visits can be arranged for special interest groups. To book please click the link below. 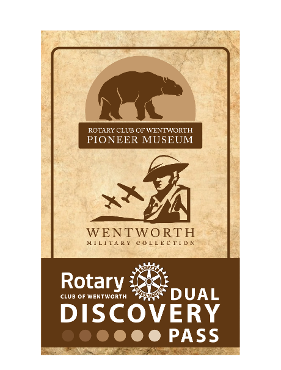 The Wentworth Military Collection in conjunction with the The Rotary Club of Wentworth and the Rotary Pioneer Museum introduces the Dual Discover Pass. Browse through our range of military collectables and gifts at our Bunker Giftshop. Now trading as part of our new Military Museum with all proceeds raised supporting our Military Museum. 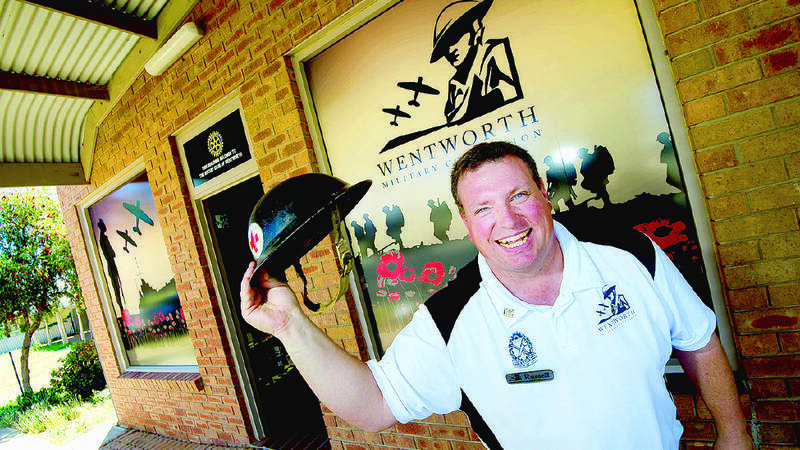 See online store for available merchandise - stock available for collection postage free from the Wentworth Military Museum. 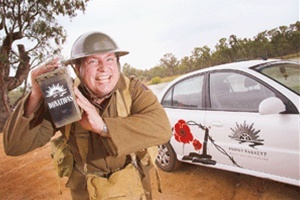 Limited edition 100 years of Gallipoli items still available while stocks last. 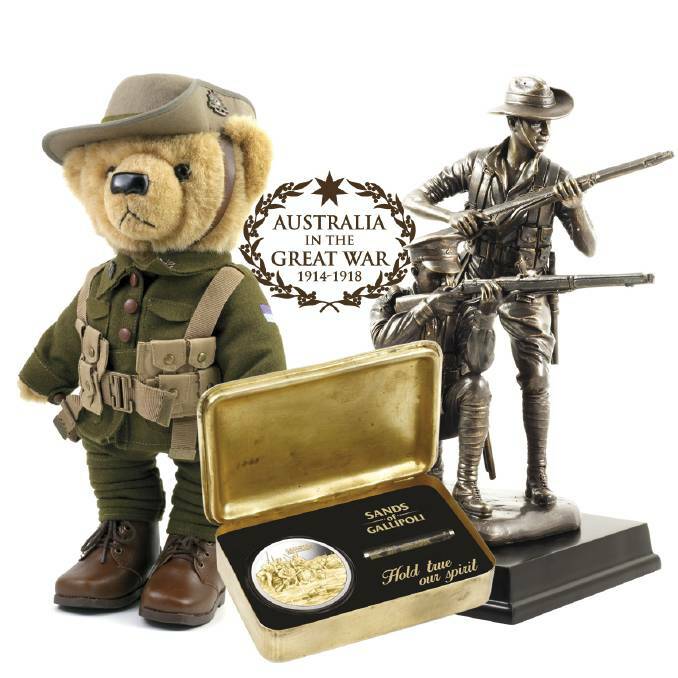 - Full range of Centenary Bears in now in stock . 2015 - Centenary year token pennies and medallions also available. Sands of Gallipoli collections available in store, online and preorders now being taken. Your first stop for unique military gifts while supporting this community museum. 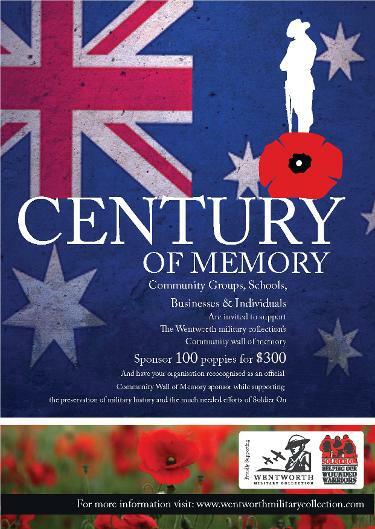 2014 marks the centenary of the First World War and to commemorate the Anniversary over the next Four Years the Wentworth Military Collection will become the home of the Wentworth Wall of Memory. You can purchase a poppy for only $3.00, from the Military Museum, write a message of hope and peace and have your poppy attached to the commemorative wall. On 11th November 2018 - the 100th Anniversary of remembrance , and the 7th Birthday of the Wentworth Military Collection , the wall will be presented to the collection for permanent display in the Collection. Have you anything to Display? 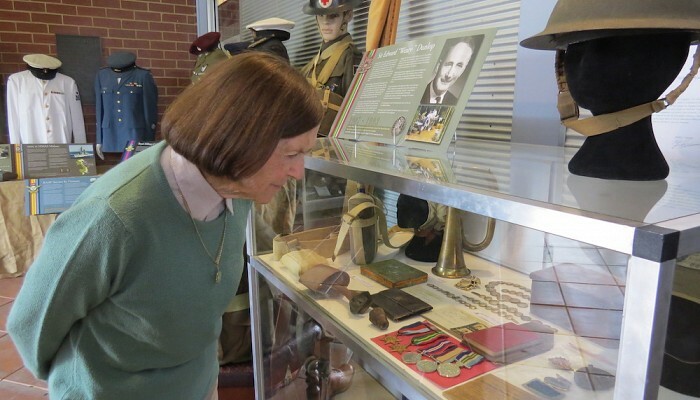 The Wentworth Military Collection has a loans system in place to display your items and maintain your ownership. Protecting your families history and allowing you to keep your items if you chose to move out of the area. We also accept the donation of items into the collection, allowing you to dedicate and share your stories with the rest of the world.